Cantonese Ministry, under the leadership of Pastor Jinan Liao participates in Sunday Service and the Prayer Service on Tuesday evening. CM has been growing spiritually and numerically, which is the work of Jesus we are witnessing. 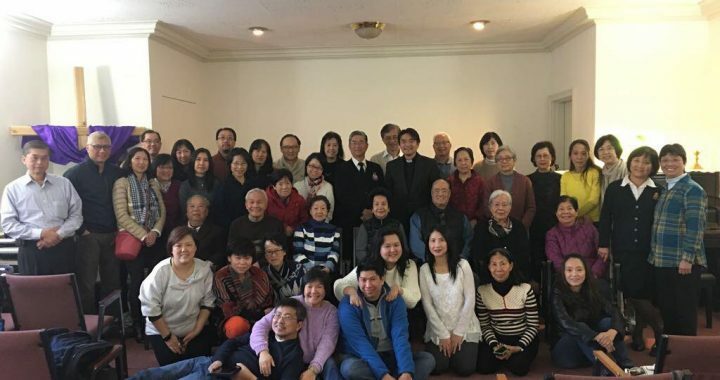 The Cantonese Evergreen continues to hold its fellowship from 11:00am to 4pm on the second Saturday of each month except July and August for summer breaks. Regular activities include Bible study, God’s messages, praying, hymns singing, games, exercises, health, wellness, and general information. We celebrated the Christian and Chinese holidays such as Easter and Chinese New Year. We had invited the Evergreen members to join the Cantonese Fellowship and combined with the Cantonese Fellowship for a few times; we also enjoyed our combined outing in June last year. We continue to invite our members to join our Sunday services at church and encourage them to accept Jesus as their savior. The Cantonese Fellowship hold its fellowship from 4pm to 8pm on the third Saturday of each month. Regular activities include the sharing of the gospel, mutual care and encouragement, mutual prayer, and topic sharing. It is designed for Cantonese-speaking brothers and sisters. It includes Bible study, prayer service, sharing of witnesses, and caring for each other.